When I am travelling with my family I want to stay in a hotel that is close to the sites we want to see, is clean, safe and welcoming to families. The Omni Hotel at CNN Center is all of these things. From the hotel we were able to walk to the Georgia Aquarium, The World of Coca-Cola, and other downtown sites. Plus, the hotel is attached to CNN Worldwide Headquarters so you are just steps away from the Inside CNN tour and a really cool food and shopping area. It was the perfect hotel in the perfect location. Our room was spacious, bright, and welcoming. It had everything we needed to enjoy a great stay. As members of Omni’s Select Guest program we got great perks like free morning beverage delivery (coffee and/or juice). It was so nice to have juice brought for the boys and coffee for my husband and I. This hotel is very large. With two towers and over 1000 guest rooms you might think it would be overwhelming. In fact, it felt like the opposite. Both towers had desks with friendly, knowledgeable staff. With three restaurants and in-room dining there were many choices for fantastic food. And, with its connection to CNN I got to look at this guy as I came down the elevator. When you are looking for a hotel for your family, there is nothing better than a kids program to make them feel special. When we arrived at Omni at CNN Center our boys were welcomed like they were honoured guests. 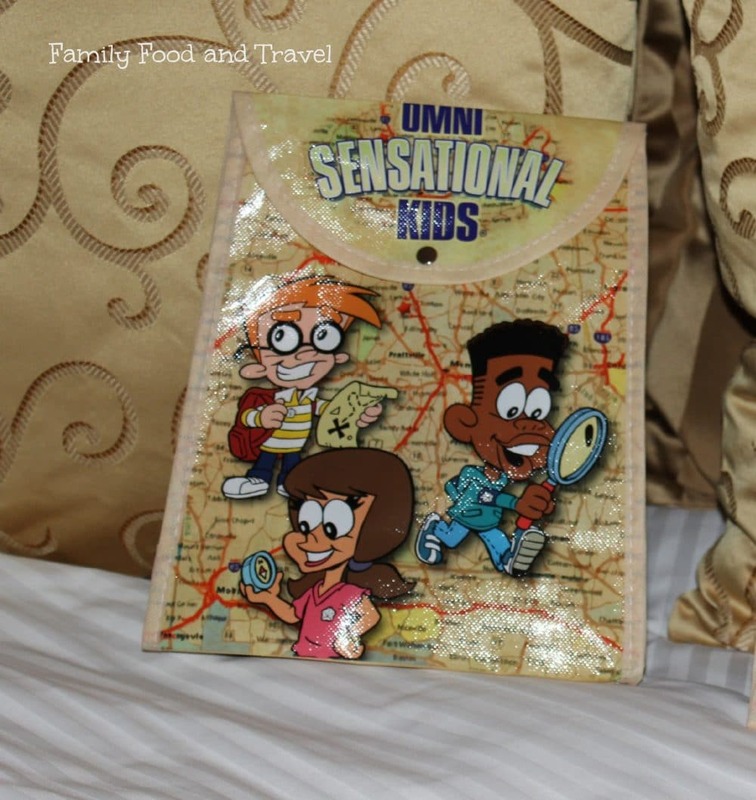 They received these adorable packpacks full of crayons, a map, hacky-sack – and our boys’ favorite, a magnifying glass! Here are their Omni Sensational Kids backpacks. The most important part for me was that my kids felt comfortable. Whether they were rolling their Trunki’s through the lobby, or heading out for a day of adventure we loved the atmosphere of the Omni. And, with a $5 million renovation just complete, ever guest will get to experience the best of hotel. 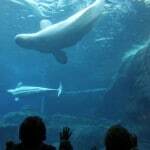 Would I recommend the Omni Hotel at the CNN Center – absolutely. A beautiful hotel in a fantastic location. I hope I get the chance to come back really soon. I can’t wait to go back to Atlanta in June. We looked at the Omni, because it’s right beside the arena where the concert we’re going to is, but we got such a good deal on another hotel, we couldn’t turn it down. I’m so excited. This time I’ll actually get to do some real sightseeing, too! Enjoy Atlanta! Such a fantastic city. Loved it! 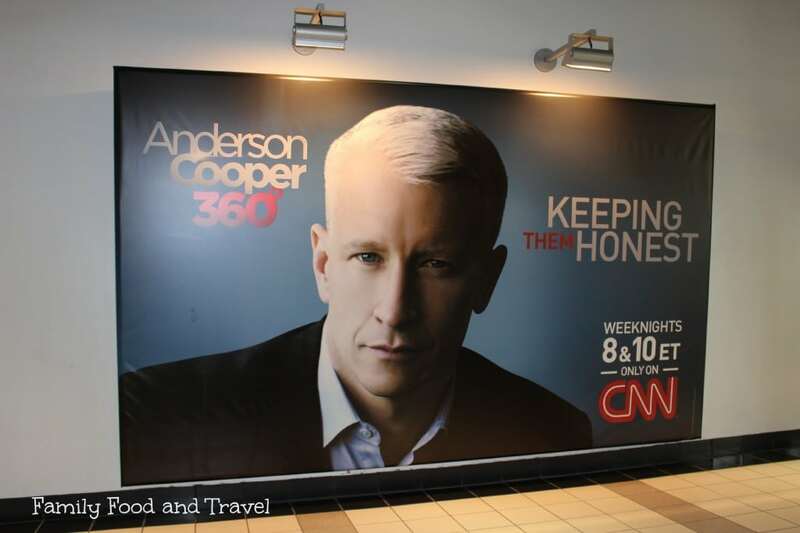 I’d stay there just for the Anderson Cooper poster! 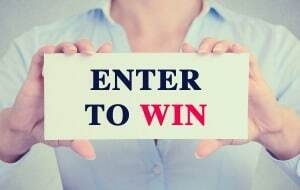 ;) Seriously, sounds like a great hotel – I’ve never been to Atlanta but I have been thinking that it would be a great weekend trip from Toronto! It would be the perfect weekend trip from Toronto – and yes, I imagine Anderson Cooper’s mug will be there for awhile, ready to greet you! HOTlanta! Boy they’ve got the shopping! Rosey recently posted..Who is Your Favorite (Famous) Painter? I’ve stayed at numerous Omni hotels and have always had wonderful stays! I love that they have a special perks program which delivers am coffee (which for me is a must!). I absolutely love Atlanta!! Isn’t it hilarious that everything is Peachtree something? I’ve never stayed at an Omni hotel but have heard rave reviews from those that have – including you. Love that this one in Atlanta was walking distance to all of the places families want to visit. Cheryl @ Kids On A Plane recently posted..Have a Favourite Camera for Travel? Wow, it sounds great. I love that they have a kids’ program. If the kids are happy, the parents are happy! 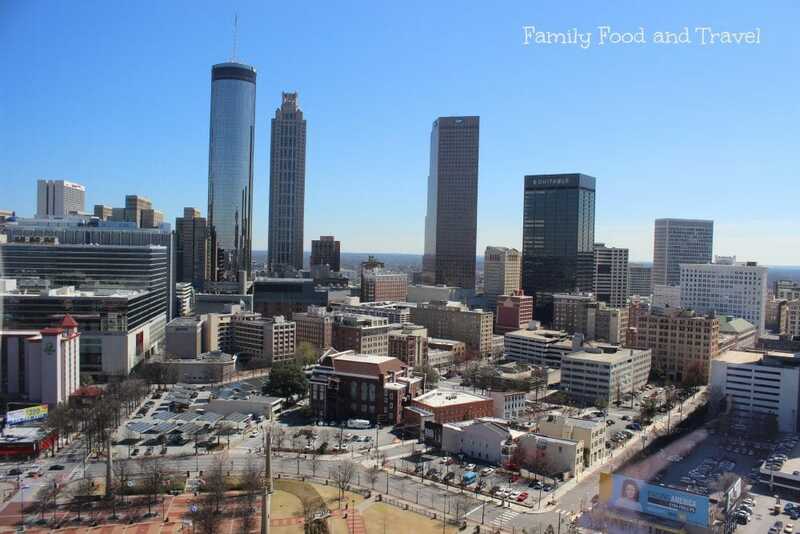 My husband’s parents lived in Atlanta for a while before I knew him and he always said what a great city it was. We’ll have to check it out and now I know where we’ll stay. Susannah @ Creative Mama on a Dime recently posted..Pass me some of those assault weapon cookies please! I’ve stayed at that hotel before I had kids. I’ve also stayed at two other omnis prekids. 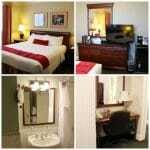 The Atlanta one was my favorite, big rooms, great location, nice staff. Glad to see they do something to make it special for the kiddos. This looks like a great place to stay. 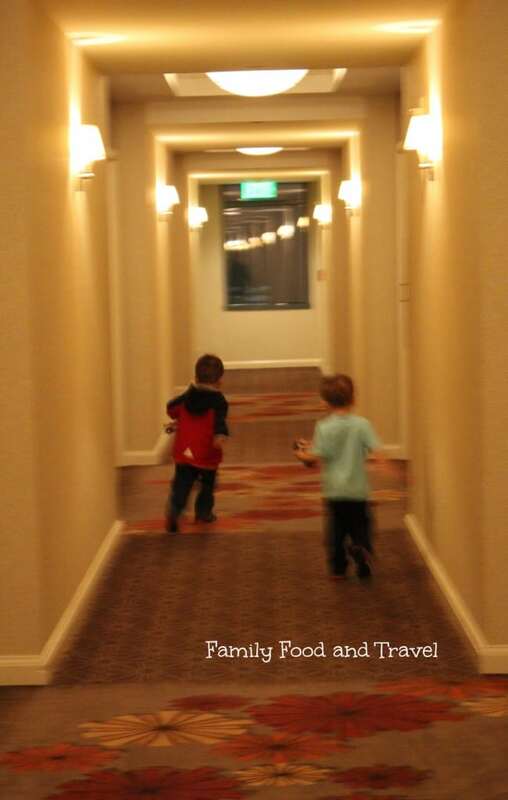 My kiddos love staying in hotels and it’s cool that Omni incorporate special elements just for the kiddos. Thanks for sharing..I will keep them in mind. 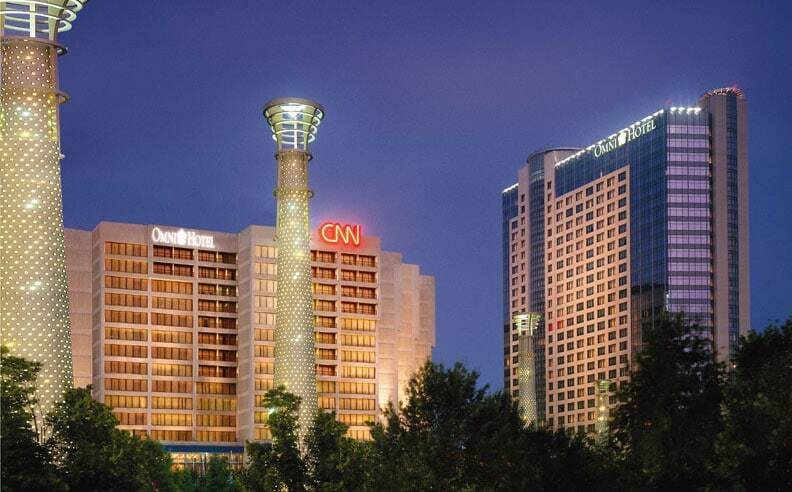 I spent SO MUCH TIME at the CNN Center when I was in Atlanta – it would have been awesome to stay there…will definitely keep it in mind the next time I’m in Atlanta. Thanks!